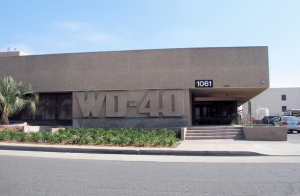 WD-40 is an unlikely setting for such a learning-obsessed culture. It is hardly a glamorous brand, but it is iconic in its own way. Almost anybody who works on cars, or does home repairs, or just wants to get rid of a squeak or some rust, has one of those bright blue-and-yellow cans in their garage or under their sink. In fact, when Garry Ridge took over, WD-40’s flagship offering was used in four of five American households and in virtually every mine, factory, and construction site in the country.